I believe most people will associate cholesterol with heart disease, heart attacks and stroke, and regard cholesterol as something bad. The truth is, not all cholesterol is bad. In fact, cholesterol is a much-needed component in our body for the production of hormones and to help our liver get rid of waste products. 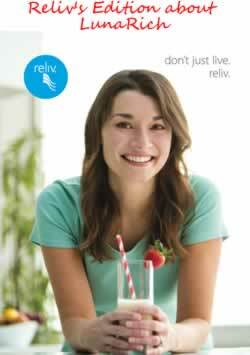 It is an essential aspect of our immune system and for proper brain functions in focusing and remembering things. What separates good cholesterol and bad cholesterol? 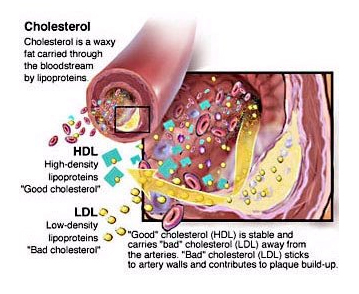 Good cholesterol is known as High-density Lipoprotein cholesterol (HDL) while the bad one is known as Low-density Lipoprotein cholesterol (LDL). The difference of the two is that bad cholesterol has the tendency to develop plaque which increases our risks of heart attacks or stroke. About 85% of cholesterol is produced by our own body in the liver, with the rest derived from the diet—mostly from the animal product such as eggs, dairy products and meat. 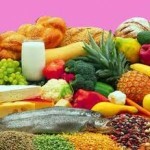 In general, people who are vegetarian have lower cholesterol levels because of minute traces of cholesterol in plants. Am I at risk? A question most of us would like to know, I believe. If we have high LDL, we will have twice the risk compared to someone with normal cholesterol levels. If we also have high blood pressure, we are at 2.4 times the risk compared to someone with normal cholesterol levels. 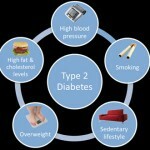 Add diabetes, our risk factor could shoot up to more than 3.9 times than that of the average healthy person. What can we do then to manage our cholesterol levels? According to medical advice, the best way to manage high cholesterol is to adopt a multi-pronged approach which shall include a change in diet, adopting a suitable exercise programme and by taking cholesterol-lowering medications such as statins. The good news is that cholesterol-lowering medications are clinically-proven to help lower bad cholesterol by 39% to 60%, thus lowering the risks of getting a heart attack or stroke. However, the bad news is that if it has taken years for your cholesterol levels to rise, it will also take some time for you to bring your cholesterol to healthy levels again. Track your cholesterol levels to know whether your medications are working. Discuss with your doctor whenever a new medication is prescribed and never discontinue a medication without your doctor’s consent. Exercise, and a healthy fibre-rich diet are necessary components that can lower your risk of heart attacks and strokes. Do remember, medications are not ‘miracle pills’ to keep you healthy!